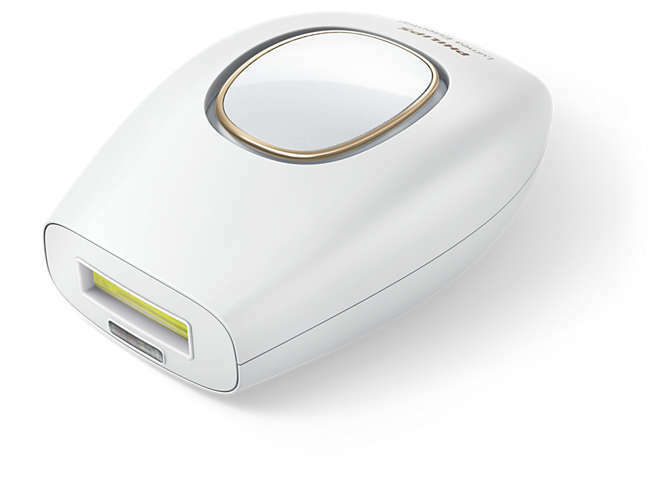 The Lumea Comfort is a compact, mains-powered corded, hand-held device. It's the smallest and lightest in the Philips IPL range with a skin tone sensor and simple operation. 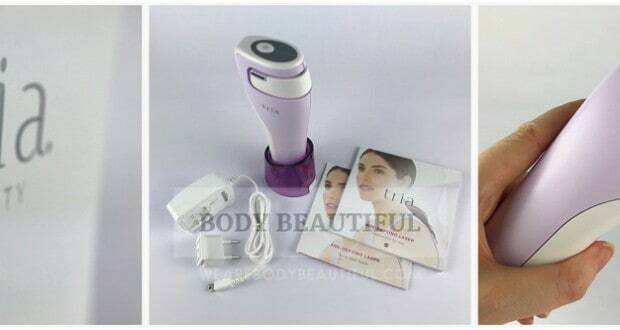 Described as "IPL with no frills" this basic model offers great value for money. It's best suited for small areas like the face, forearms, underarms and bikini line. 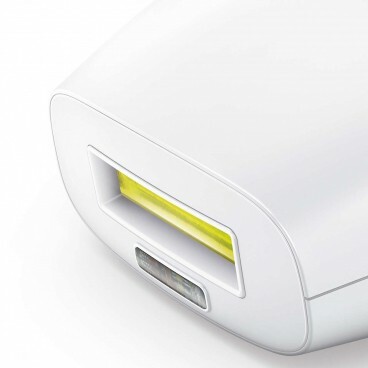 Read the full Philips Lumea Comfort review to learn more. I receive referral commission if you buy through these links. Is the Lumea Comfort good value for money? What’s the feedback from the online Lumea Comfort reviews? Philips Lumea Comfort SC1981 vs SC1983? 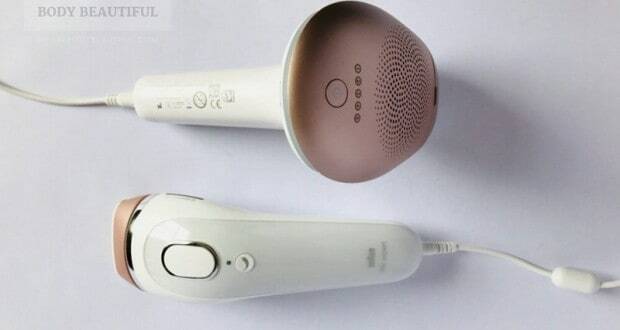 Should I buy the Philips Lumea Comfort? 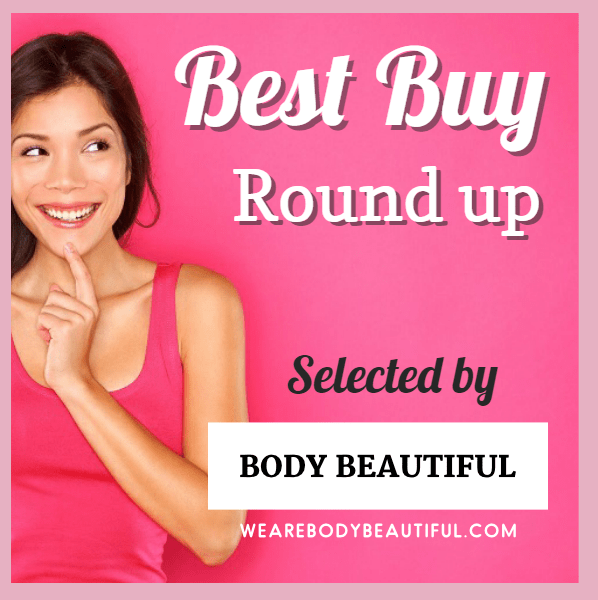 Is the Lumea Comfort good value? 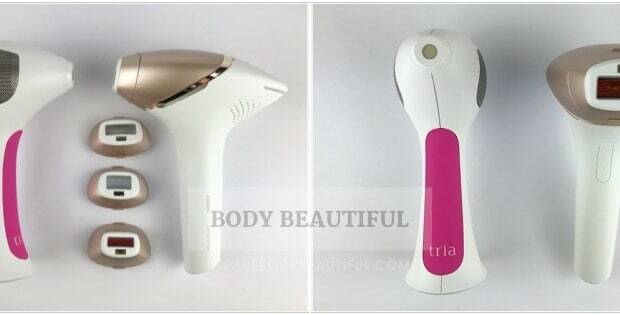 The Philips Lumea SC1983 will give you 540,000 cm2 of treatment area. That’s about 4500 pairs of armpits (yikes) or 135 full body treatments to last about 8 years of monthly use. Both have a 2.7 cm2 treatment window and the SC1981 comes with 100,000 flashes so you can treat a body area up to 270,000 cm2. You’ll get around 65 full body treatments (full legs, underarms, bikini line and face). That will provide approximately 4 years of monthly top up treatments and will be more than enough for most to get and maintain their results. The SC1983 has double the flashes and double the treatment area (540,000 cm) for around 135 full body treatments. That’s more than 5+ / close to 8 years of monthly top up treatments. That’s probably way more than you’ll need, but it’s reassuring nonetheless. Both provide ample treatments which makes them suited to large areas like back, torso and full body treatments. However, treatment times on such large areas are slow and tedious. So, either break up full body treatments into multiple sessions or use them to treat small body areas like face underarms, bikini line and forearms. Both models retail at between £160 to £200 and they’re exceptional value. But if both are available for a similar price then choose the Sc1983. N.B. the years of use is based on the bulb life only and doesn’t take into consideration general usage wear and tear that effect how long the machine keeps working. What’s the Lumea Comfort like to use? The Lumea Comfort is a mains-powered, hand-held applicator that’s simple to operate, easy to manoeuvre, light and comfortable to hold. “it feels nice in my hand, not fiddly at all”. Please be safe: Before using always read the user manual and do a skin test too! Plug in the Lumea Essential and simply press the power button to move up the intensity levels and the indicator lights show the selected level. Shave first and ensure the treatment area is clean and dry. When you press the flash button the skin tone sensor checks your skin and will flash only it’s a suitable tone. Or reposition the window and then press the flash button each time (Step n Flash). 5 energy levels. Use the highest energy level that is comfortable to get your best results. 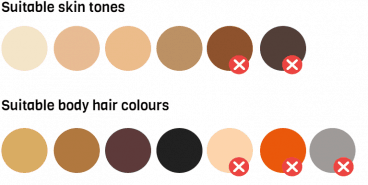 The lower energy levels are for darker skin tones. Step n flash: a standard ‘stamping’ mode, best for small or tricky areas. How quick are the treatments with the Lumea Comfort? 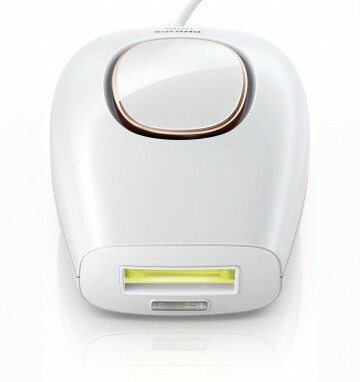 The Philips Lumea Comfort has a 2.7 cm2 treatment window and it takes up to 3.5 seconds between flashes. This means it has slow treatment times so it’s best for treating smaller body areas like the bikini line, underams and arms. 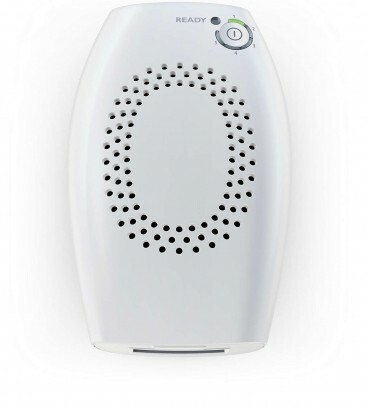 The Lumea Comfort has an average sized 2.7cm2 treatment window and it takes up to 3.5 seconds between flashes. This means it can cover 120 cm2 (a pair of underarms) in a maximum 2:36 mins. Philips advise it takes 19 minutes to treat one full leg. That’s slow, so it’s not a great choice if you want to treat large areas like full legs, back, torso or for full body treatments. But if you just want to treat small areas like the bikini line, arms and underarms then the treatment times are manageable and won’t feel tiresome at all. 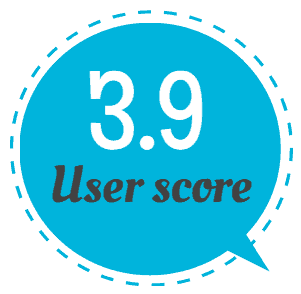 The overall score is a very respectable 3.9 stars, collated from all the online Philips Lumea Comfort reviews and Lumea Essential reviews. Reassuring there are just a few faults reported by online reviewers. Several reviewers seemed to lack trust in the device and were put off by the warnings and cautions in the user manual. Some used it a few times and stopped and others never even made it that far. This is perhaps an unfair reflection on the Lumea Comfort as the contraindications apply to all IPL devices. Some reviewers reported the device worked, but they weren’t happy about the slow treatment times finding it ‘very time consuming’. They wished it was faster and this negative was strong enough to out-weigh the actual results they experienced. A couple also mention it’s difficult to see the flash window so you don’t know exactly where it’s positioned. A design improvement here would help you get better coverage on your skin so you don’t miss bits. A couple also said it was a bit awkward to position on their upper lip. Reviewers also reported it wasn’t working for them and they weren’t getting the results they expected. Several of these reviews were left after only 2 or 3 treatments, some didn’t state a timeframe and a handful had tried without success for between 2 to 4 months. Most reviewers love the compact size and how very simple it is to use. One reviewer describes it as “IPL with no frills” yet still with a quality build expected from Philips. Some great results were reported too. Philips say you could see results from as few as 4 fortnightly treatments (taking 6 weeks). The user manual sets more realistic expectations (in my opinion) by suggesting an overall timeframe of 18 weeks; 6 weeks of fortnightly treatments, then 3 treatments at 4 week intervals. And some did see results after just 1 or 2 treatments, whilst others needed many more weeks or months. Reviewers share you can expect slower and finer hair regrowth, hair becomes lighter and bald patches start to appear and you’ll need to shave less frequently. One reviewer went from shaving 3 to 4 times a week to once every 2 weeks. Shaving becomes unnecessary before treatments and the frequency of these less and less to maintain long-lasting results. It’s important to have realistic expectations and understand that IPL hair removal treatments require patience and commitment. Results vary by individual too. Both models promise the same simplicity and ease of use. Both are usually in the lower ££ price range. It’s just the bulb-life that’s different between the 2 models. If you want to use it for small area treatments (face, underarms, bikini line and forearms) both provide more than enough treatments. The SC1981 provides 10+ years of monthly top-ups and the SC1983 is double that. Just choose the cheapest available device. If you want to treat your full body or large areas like your back and torso both provide lots of treatments. The SC1981 provides up to 4 years and the SC1983 around 8 years worth. So if both are available to you for a similar price it makes sense to choose the SC1983 for extra peace of mind. Yes, it’s an excellent no-frills choice that provides loads of treatments. The price is usually lower than most other devices too so it suits most budgets. 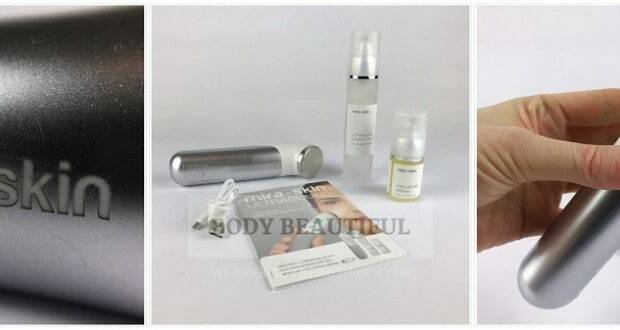 It’s a great choice for small area treatments like the face, forearms, bikini line, underarms etc. That’s because you get more than enough treatments to last 10+ years and the treatment times are quick. It’s a good budget choice for full body treatments and other large areas, again because you’ll get several years worth of treatments. But, compared to other devices the treatment times are slower on these larger areas. If you can stretch your budget a little bit further you’ll be better off with a faster alternative device. The Philips Lumea SC1981 and SC1983 are simple devices that get the job done for a very attractive price. They come from a very reputable brand and manufacturer too, so you can be confident in the quality.